As a member of the Google Green team, I enjoy working at a company that’s committed to minimizing our environmental impact and supporting sustainability around the globe. 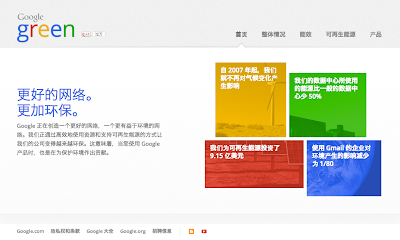 As part of these efforts, I’m pleased to share that our Google Green and Data Center websites are now available in 10 languages (listed below). Personally, it was really interesting to see the sites in languages other than the English versions we use everyday (see some screenshots below). And it’s been particularly fun to learn to say “data center” in German (“Rechenzentren”) and Finnish (“Palvelinkeskukset”). We invite you to explore these sites and share them with others committed to a cleaner, more sustainable future. These days, you can learn how to do almost anything on YouTube. From everyday tips on composting to more off-the-wall tutorials like how to solar power your next grilled cheese sandwich, you can find a wealth of videos that showcase ways you can be better to the environment. Today, we're sitting down with Cobi Kim of Veggietorials—a YouTube channel focused on healthy, meatless twists on classic comfort food dishes. What was the inspiration behind creating "Veggietorials"? I created Veggietorials to share my love of delicious and beautiful plant-based food. I want to give people a comfortable entry-point to learn, discover, and explore how delicious and easy veggie cooking can be. How do you come up with ideas for your videos? I find inspiration in so many different places. Sometimes I want to recreate a dish I’ve enjoyed while traveling. Other times, I'll see a friend post photos of an incredible meal that I want to try. My videos show you how to put a vegan twist on everything from decadent sticky buns to homestyle meatloaf. I live in Hawaii, so my dishes often have a local flair. Most of the time, I make videos about local comfort food dishes that I want to celebrate, like the hearty Loco Moco. That's a popular Hawaiian plate lunch usually made with two scoops of rice, a burger patty, and a generous pour of brown gravy—all topped with a fried egg. Who watches your videos? Are most of your followers vegan and vegetarian? Not necessarily! Many of my viewers are omnivores who are interested in trying something new. It’s such an exciting time to try meatless recipes because there are so many choices. I remember when vegetarian options were limited to tofu, salads, nuts, and seeds. Now, there are alternatives to almost any animal product or ingredient you would ever want to use. Contrary to popular belief, you don't need to change your entire palette if you decide to go vegan or vegetarian. You can continue to make the foods you've always loved. I reply to every single comment that I receive. I'm thrilled when people share photos of their version of a dish I've featured in a video. That's my favorite part of building this channel. And I create at least one viewer-inspired video each month, based on a specific request, a particular dietary need, or a fresh idea. Lastly, what does being green mean to you? In my world, being green means growing my own organic food to stay connected to the source, buying locally, and supporting environmentally conscious companies. These are just some of the ways we can tread more lightly on our planet. You can find more creative recipes on the Veggietorials YouTube channel and plenty of green how-to videos on YouTube. Happy viewing! "In the limelight" is a monthly series showcasing the ways people are using Google products to be better to the environment. 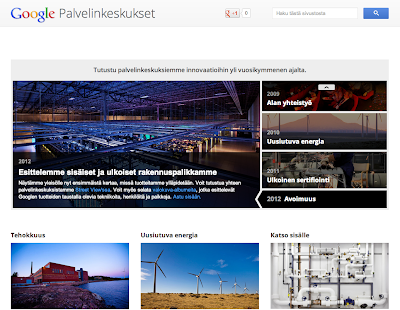 Explore ways you can be greener with help from Google products on the Google Green site. For the third year, I’m excited to announce the call for 2013 Google Earth Outreach Developer Grants applications is now open. Google Earth Outreach Developer Grants provide funding to nonprofit organizations ranging between $10,000 and $20,000 on average to build a map that will help them accomplish their mission, be it around environmental issues, humanitarian causes, disaster relief prevention, or health issues. If your nonprofit has a great idea for a map that can change the world, apply for a 2013 Google Earth Outreach Developer Grant today. WWF & Eyes on the Forest mapped deforestation rates and wildlife habitat in Sumatra. 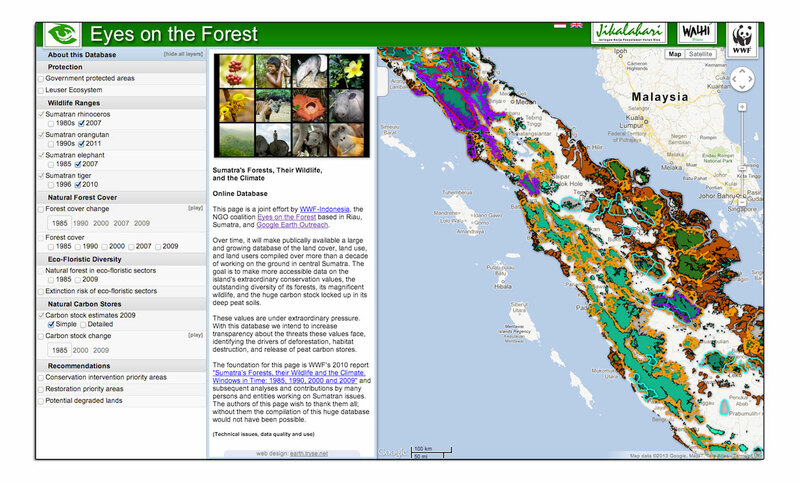 WWF & Eyes on the Forest created a map to showcase deforestation in Sumatra. With the Google Maps Engine map as part of their “Don’t Flush Tiger Forests” campaign, they convinced 17 out of 20 US retailers to stop buying toilet paper from companies cutting down intact hardwood rainforests and critical tiger habitat in Sumatra. The HALO Trust clears minefields in previously war-torn regions around the world, including Angola, Afghanistan and Cambodia. 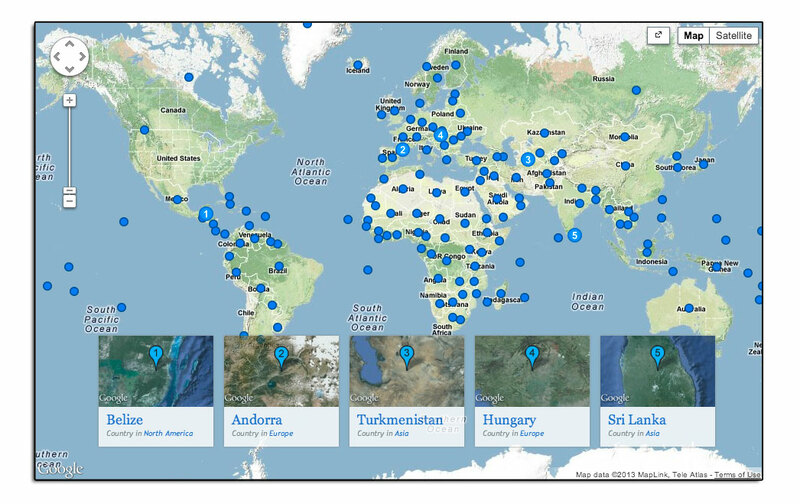 Upon the launch of their Google Earth tours designed to raise awareness about their work, they saw the most traffic to their website over the entire calendar year. iNaturalist.org’s Android app, designed to collect species observations from around the world from citizen scientists, has been installed on over 2000 Android devices. The number of scientific-grade research observations has more than quadrupled. We look forward to hearing about the impacts of our 2012 Developer Grantees’ maps as they are launched in coming months. Good luck to nonprofits who apply to our 2013 Google Earth Outreach Developer Grants, and if you are a nonprofit with a great idea for a map, apply for a grant!